Uplifting Love: I'm Guest Food Blogging! Okay, I'm not really a true food blogger. This is my first post having to do with food so I am calling myself a guest food blogger on my own blog. Weird? Yes. But cool. Cami's birthday was a month ago (my how time flies!). For her birthday I was determined to make her a special cake. This is the chronicle of my attempt. Going into this I knew two things: first, Cami loves chocolate so the cake needed to be a chocolate cake; second, it needed to be pretty simple as I am still honing my culinary skills. Therefore, the plan was to make a round chocolate cake. I started the night before her birthday. 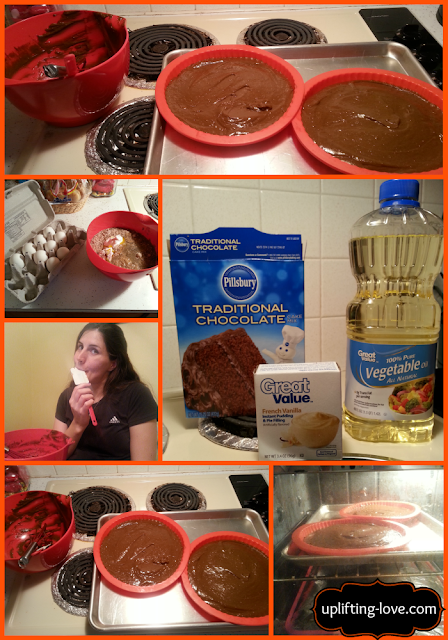 I used a regular old chocolate cake mix, a package of vanilla pudding, two eggs, and vegetable oil. 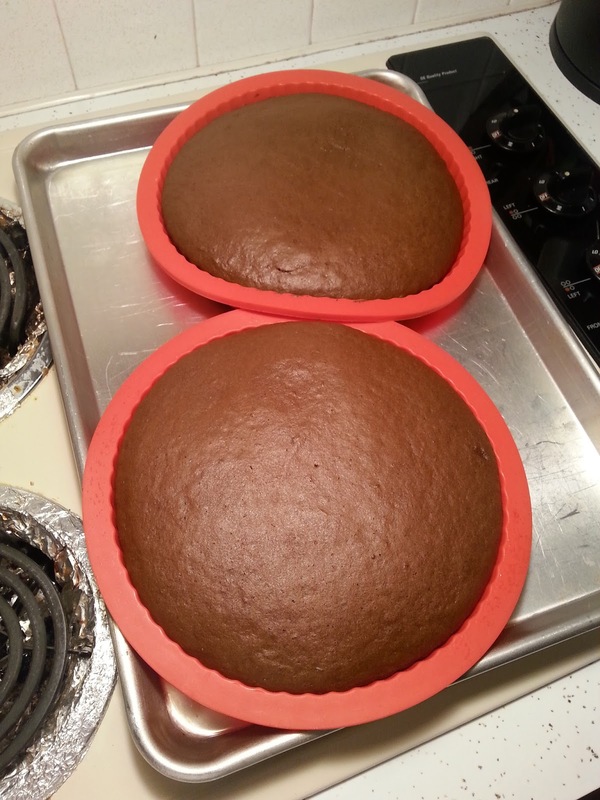 I mixed them together (the pudding makes the cake more moist) and threw them in the oven. Cami helped me clean up the remaining batter, which is her favorite part anyway, and we waited. 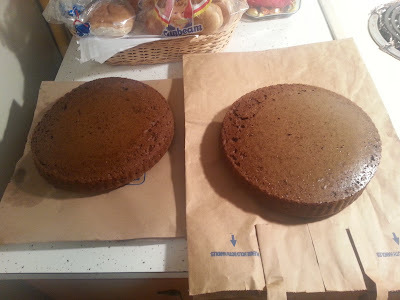 When the cakes were done I took them out and put them on paper grocery bags to cool (I learned this from my mom). Then I moved them to the fridge for the night. It's easier to frost the cakes when they are cool/cold as well. The next day, Cami's birthday, I took the cakes out of the fridge and cut them in half. That way I would have four layers. I put a little bit of frosting on the cake stand to hold the first layer in place (I don't like it sliding around when I'm trying to frost it) then I frosted in between each layer. 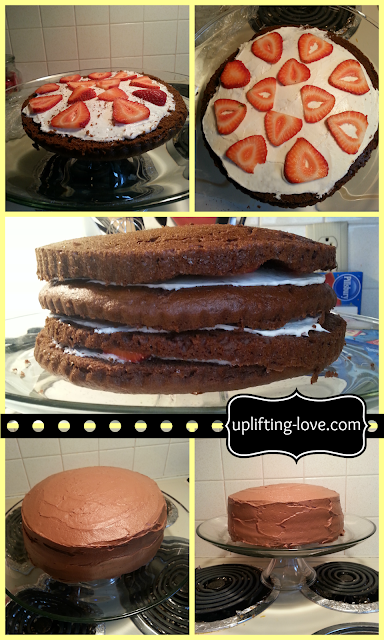 I also included sliced strawberries in between each layer because Cami loves strawberries. 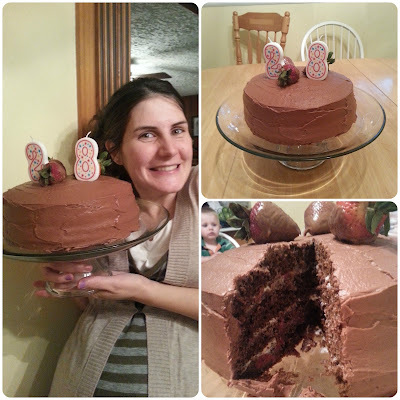 Then I frosted the entire thing with homemade frosting (I think it's my mom's German chocolate cake frosting recipe). I was pretty impressed with myself. 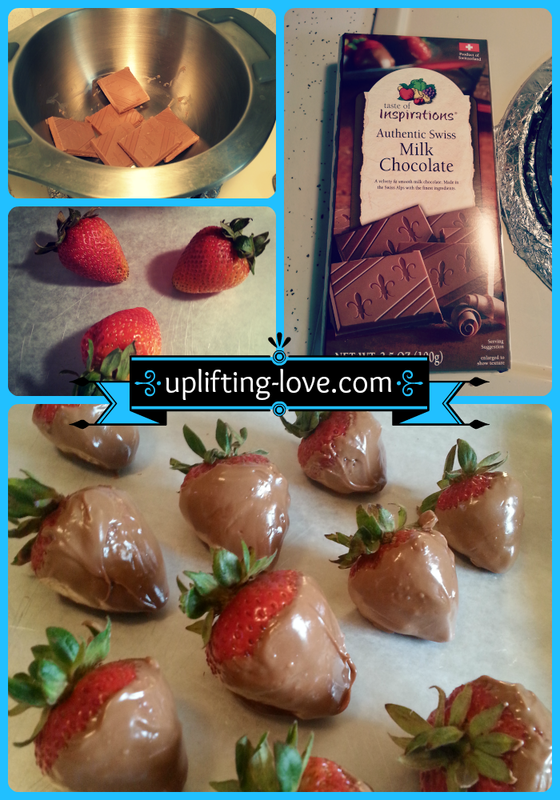 The last step was to add chocolate covered strawberries. To save money, and because I had never done it before, I decided to make them myself. I melted some chocolate in a double boiler on the stove, dipped the strawberries in it, and put them in the fridge to set up. After an hour or two I took them back out of the fridge, chose the best three, and put them on the top of the cake and...viola! The cake was finished and ready to consume. Suffice it to say, it was a complete success. Mission accomplished. All photos courtesy of myself. That's right, I can take some pretty decent pictures. Thanks Meredith! It was both! I am so impressed, Tyson! Certainly, you have done this before. I'm not a baker, but I sure did learn a few tips. I really like the idea of adding pudding to make the cake moist. You have one blessed wife! Way to go! That looks so yummy!! 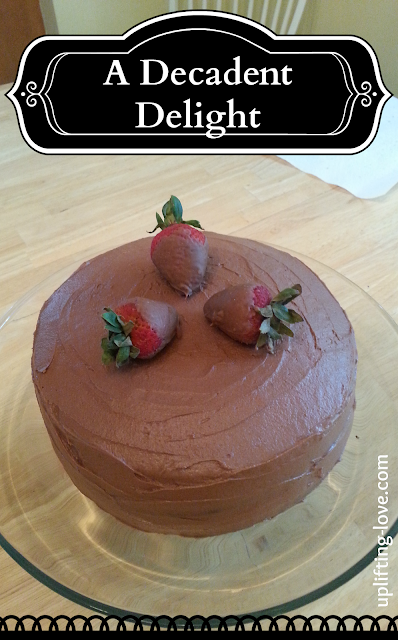 Thank you so much for sharing & linking up at Thank You Honey's Whatever Wednesday Party!! nicely done! the 4th layer and addition of strawberries are quite advanced for someone with no culinary chops. :) I'm sure Cami LOVED it. I let my hubby pick for his birthday...this year was a carrot cake from scratch. Our small group from church was meeting at a restaurant on the weekend of my husband's birthday. When our daughter married, my husband's favorite cake from the baker was not the one that she chose. I ordered his favorite, lemon; and our group leader picked it up. When everyone was finished with their dinner, the waiter brought it out. There was a live band there that night, so we even had music to accompany our "Happy Birthday" song. We were just discussing our favorite things that the other had done for us. This was on his list. What a beautiful cake. I like adding the strawberries to it. Tyson, I am thoroughly impressed! I don't think I could make a cake that good... I wanted to eat my computer screen!